Southern Culture on the Skids, always a fun concert! Sabotage was way overdue. Good call. I’m gonna get a little obscure here - cause I am in the mood. This is one of NA’s favorite under the radar bands from the very early 90’s. They put out two albums (Horror Head and Cuckoo) in the early to mid 90s, plus a compilation of EPs called Pubic Fruit (yes you read that right), which I absolutely adored, but I doubt more than 10 people in Charlotte ever heard them back then. Oddly, they turned up on the soundtrack of the original X-Men movie with a re-mix of a song called Chinese Burn. It’s hard to pick a single song - this is one of those bands that you either love their sound or could do without. If you like them, they have so many great songs. I’ll arbitrarily pick a couple. Also, I was heavy biased towards them because lead singer Toni Halliday was a smokeshow. I think she was voted sexiest woman in rock in some British music mag back in like '91 or '92. She was so freaking hot. They did some ballads but I liked the tracks with the driving bass lines like these. And anytime I could look at Toni was a plus. 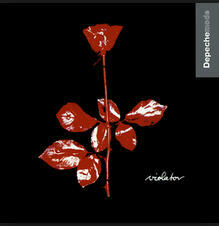 My first introduction to Depeche Mode, great album. Did the TV show ever come out? I have a friend who named their daughter Julianna. This is in my head every time I see them. 2k came in like a wrecking ball on the thread with this post.